Medicare medical Savings Account (MSA) Plans are a combination high-deductible health insurance plan and medical savings account. Under the various MSA Plans available throughout the country, money from Medicare is deposited into a bank account. Money in the account can be used at the policyholder’s discretion to cover any health care costs, but only money used for Medicare-covered services counts toward the deductible. Medicare Advantage plans are optional Medicare plans offered by Medicare-approved private companies and available to people already enrolled in Medicare Part A and Medicare Part B. Among the most popular Medicare Advantage options are Medicare Medical Savings Account (or MSA) Plans. Although MSA Plans provide policyholders a great deal of flexibility when it comes to health care decisions, no personal money can go into the account, and the amount deposited by Medicare is subject to change from year to year. Funds not used during a particular year can be applied to health care costs in future years. Although out-of-pocket costs can be high before the deductible is met, health care providers cannot charge more than the Medicare-approved amount during this period. The majority of people enrolled in Medicare Part A and Part B are eligible to enroll in a Medicare Medical Savings Account Plan. To find out whether you’re eligible to enroll, contact MedicareMall toll-free at 877-413-1556. After the deductible is met, MSA Plans pay for all Medicare-covered services. 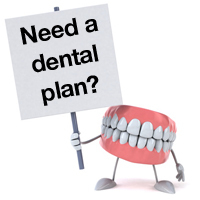 Deductibles vary from plan to plan, and some MSA Plans offer extra benefits—including dental, vision, and long-term care—at additional cost. Extra benefits, however, do not include Medicare Part D (prescription drug) coverage. Although MSA Plans carry high deductibles, there are no monthly premiums associated with these plans. MSA Plan enrollees, however, need to continue paying their Medicare Part B premiums. Joining a Medicare Medical Savings Account Plan does not affect your eligibility for all medically-necessary services covered by Medicare Part A and Part B. Availability of MSA Plans varies in different parts of the country, and even within individual regions and states. With so many options and details to consider, you need an expert like MedicareMall in your corner to ensure you’re getting the best coverage available at the lowest possible cost. We’re eager to answer any questions you may have about Medicare Medical Savings Account Plans. Contact MedicareMall now and let us put our two decades-plus of experience to work for you!